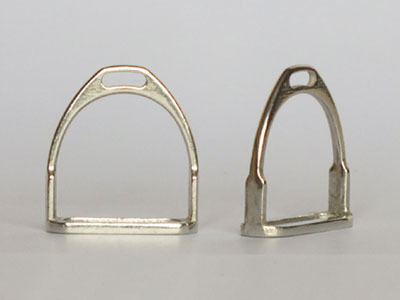 1/6 Miniaturism scale Horseshoe Stallion bit designed by Horsing Around.. 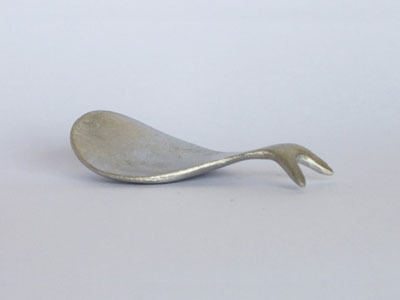 The bit is actually a shank, or ring, i.e. 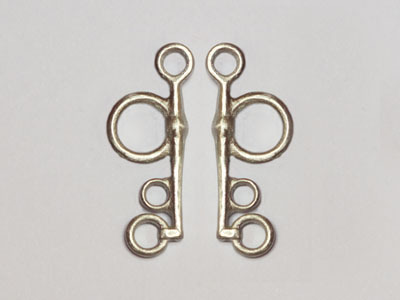 no mouthpiece. 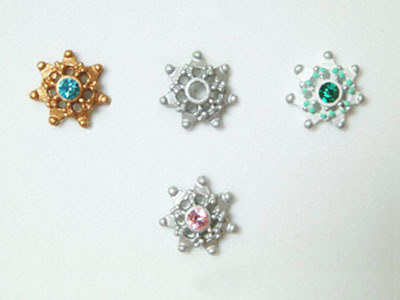 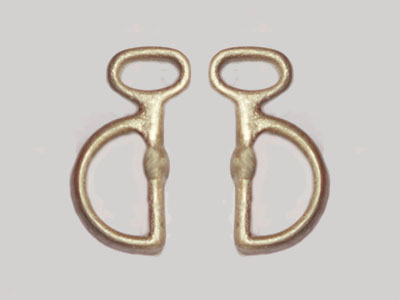 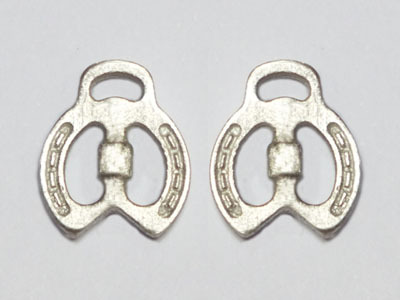 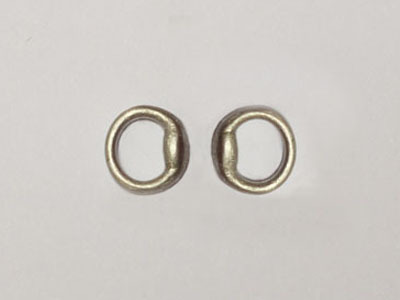 Our Horseshoe Stallion bits are sold as a pair and measure 0.53 inches (1.35 cm) in length, and cast in pewter.